While some degree of criminal justice reform is needed to control prison overcrowding, recidivism and costs, there are negative consequences to the quick solutions that lawmakers and policy experts are doling out. The effects of realignment legislation (AB 109/AB 117) and Prop 47 and Prop 57 have, unfortunately, meant an increase of newly released inmates into our communities, along with rises in crime. Now, new legislation that proposes to reform California’s bail system poses a further threat to public safety and the lives of peace officers. It’s no secret that the bail system is broken. From an economic standpoint, it’s expensive. According to the Washington Post, it takes approximately $38 million a day to imprison nonviolent defendants, which equates to a staggering $14 billion a year. And nonviolent defendants being held in pretrial incarceration contributes to 95% of prison growth. To this day, 450,000 people are awaiting trial because they can’t afford bail, many of whom are poor and are people of color. This data was presented alongside the recent introduction of the Pretrial Integrity Safety Act, a proposal spearheaded by Senators Kamala Harris and Rand Paul that aims to distribute $10 million in federal grant money to fund individual states as they reform their bail systems. This bill indicates that increased reform measures are on the horizon, so it’s important for us to pay close attention to these changes and remain vigilant by questioning whether the current direction of bail reform legislation is leading us in the right direction. While the current legislative measures may vary slightly from state to state, the thread that ties them together consists of two key changes: the elimination of fixed-fee bail systems and the creation of pretrial agencies to assess whether offenders should face pretrial detention or be conditionally released prior to their court date. 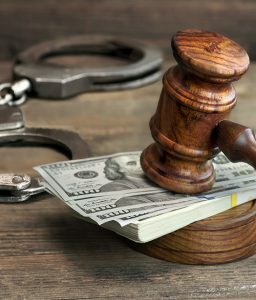 For example, New Jersey, which has taken an aggressive lead in reform, changed its bail procedures to eliminate cash bail and has given judges the responsibility to decide the fate of offenders based on certain criteria. California is following suit with its own pending version of reform. The California Bail Reform Act of 2017, composed of twin bills SB 10 and AB 42, mimics the national trend. Low-risk defendants will not be kept in jail because they can’t afford to post bail, and a “risk-assessment tool” will be used to determine if offenders are a danger to their communities or there’s a likelihood that they will not appear in court. This means that only the most dangerous offenders, those committing violent felonies, face jail time prior to arraignment, while those committing some misdemeanors would be released on their own recognizance. For California, this is significant when viewed alongside current measures. Taken together, the current and proposed legislation seems to revolve around early release. Prop 47 has reclassified certain crimes in such a way that some felonies are now considered misdemeanors and, as a result, the L.A. Times reported earlier this year that an estimated 4,700 people were either resentenced or released from state prison. That, coupled with Prop 57’s increase in parole rates, has contributed to more former inmates back on the streets, spiking crime and putting peace officers in harm’s way. With law enforcement deaths rising nearly 20% this year, a connection could be made between slain officers and the new legislation. For example, many peace officers agree that the death of Whittier Police Officer Keith Boyer in February 2017 was a direct result of the consequences of Prop 47. The alleged killer was not only a convicted criminal with a record that spanned from 2010 to 2016, but had also committed two felonies and violated his parole four times. Prior to reform legislation, this criminal would have been behind bars. Fortunately, at the state lobbying level, the Peace Officers Research Association of California (PORAC) and other law enforcement organizations are co-sponsoring new legislation written by Los Angeles District Attorney Jackie Lacey. This legislation promises to provide more viable solutions that strike a balance between reform, public safety and victim protection by distinguishing areas in the bail system where a risk-assessment tool can be used, without completely eliminating monetary bail. This collaboration with peace officers and legislatures is what’s needed for effective reform. Furthermore, with so much emphasis being placed on reducing the prison population, there isn’t enough attention being paid to ensuring public safety. Many former inmates have little to no means to rebuild their lives after prison due to the lack of programs for treatment, employment, housing and more, so the potential for crime is high. Recognizing this, California is in the process of awarding $103 million in grants for the purpose of keeping fewer nonviolent offenders out of prison. Only time will tell if it pays off. As part of LAAPOA’s efforts to advocate on behalf of our members, we will be keeping a close eye on specific issues pertaining to criminal reform measures and pending legislation on the national, state and local level.